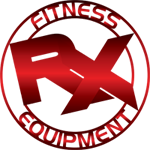 RX Fitness Equipment is the brainchild of Tim and Darci Adams and is founded on the principles of fitness, exercise, providing the right equipment to meet your budget and fitness goals. The firm carries equipment by top brands including TRUE Fitness, Spirit Fitness, Bodyguard, Bodycraft, Torque Fitness, SportsArt, and Waters Fitness. More information is available by calling the RX Fitness Equipment store at 805-497-7000 or by visiting the URL above.